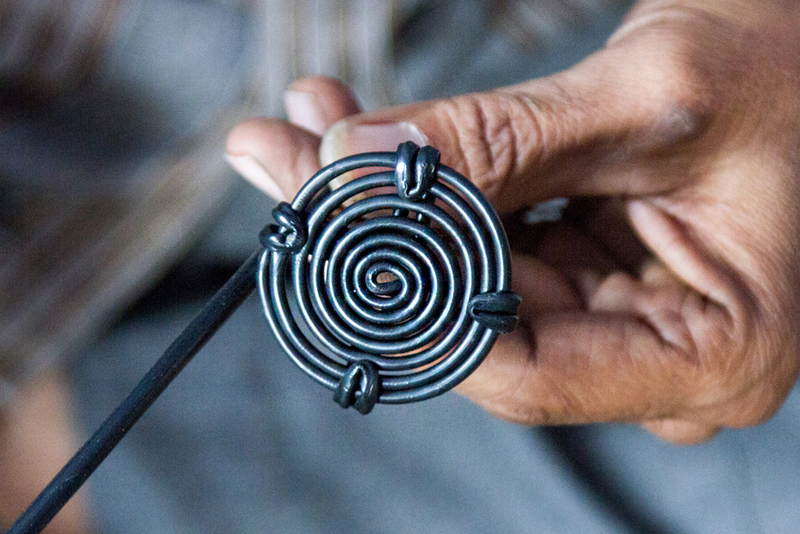 Single wire work is a unique craft which relies on simple hand tools than expensive equipment’s. 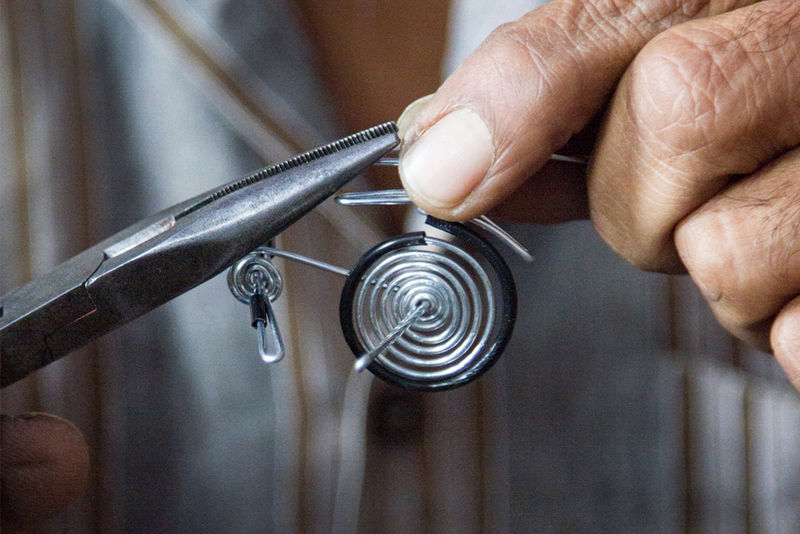 Single metal string/wire is shaped to make different products. Name is also made in single wire by cursive writing. 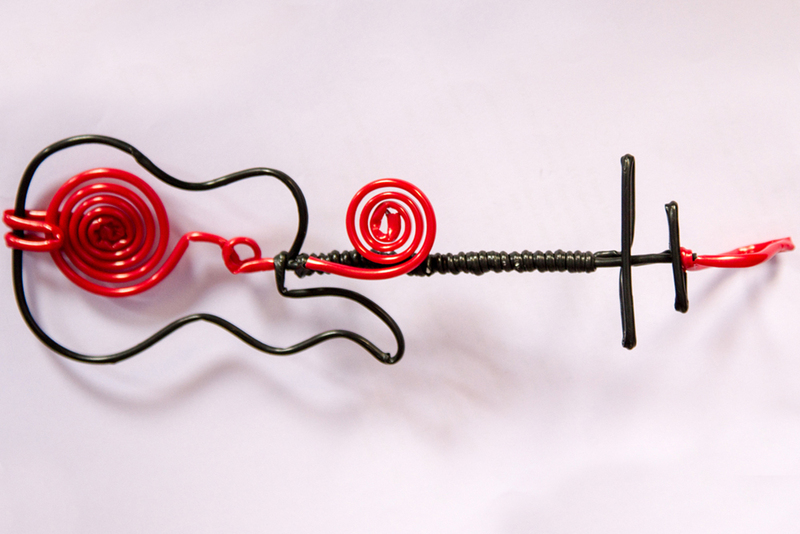 Multi-colored guitar is made out of single wire. 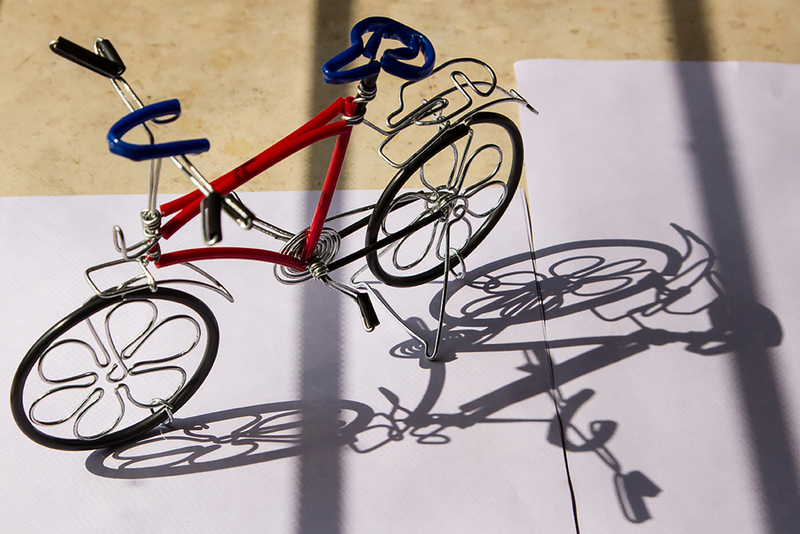 Beautifully designed cycle in single wire. 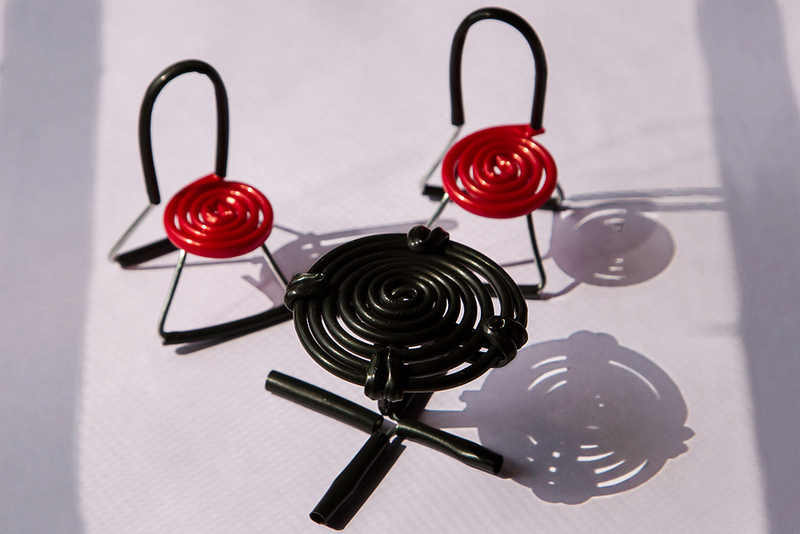 The most common products of the Single wire craft are Key chains, Model of a Cycle, Dining table along with chairs, Guitars and Car. 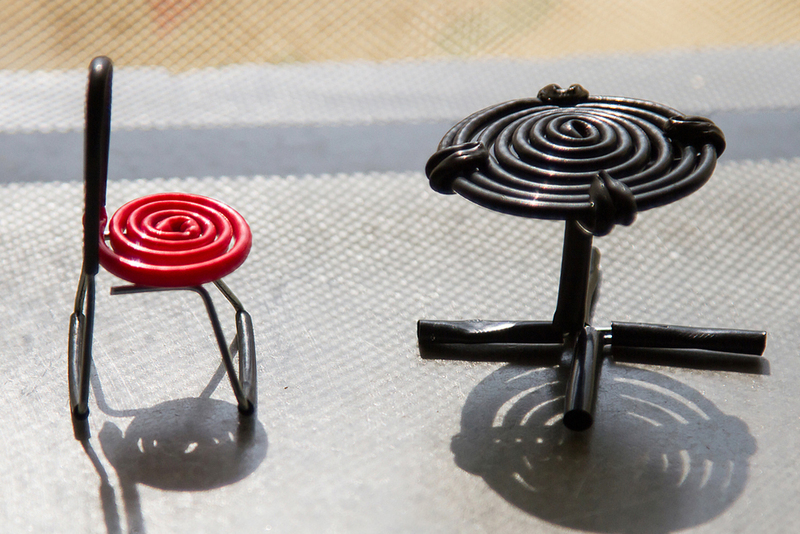 Models of different structure and sizes are created for the customers. 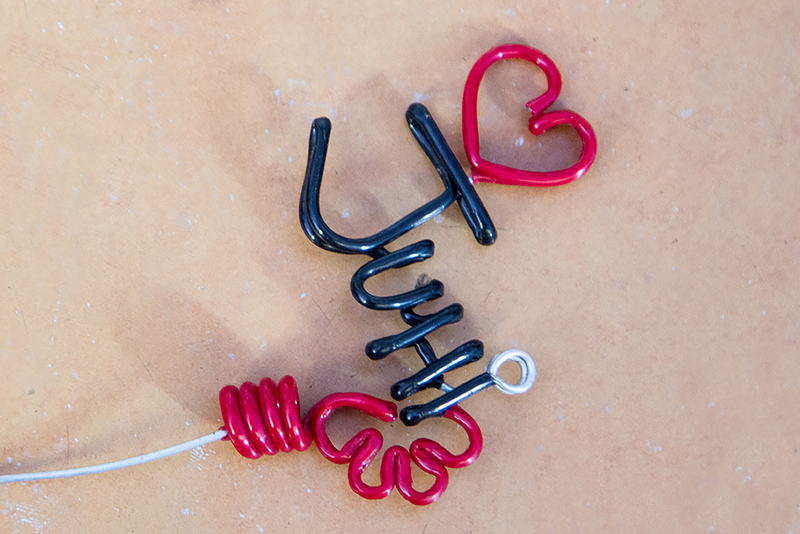 The key chain is the most popular item of all as it is purchased by innumerable customers. 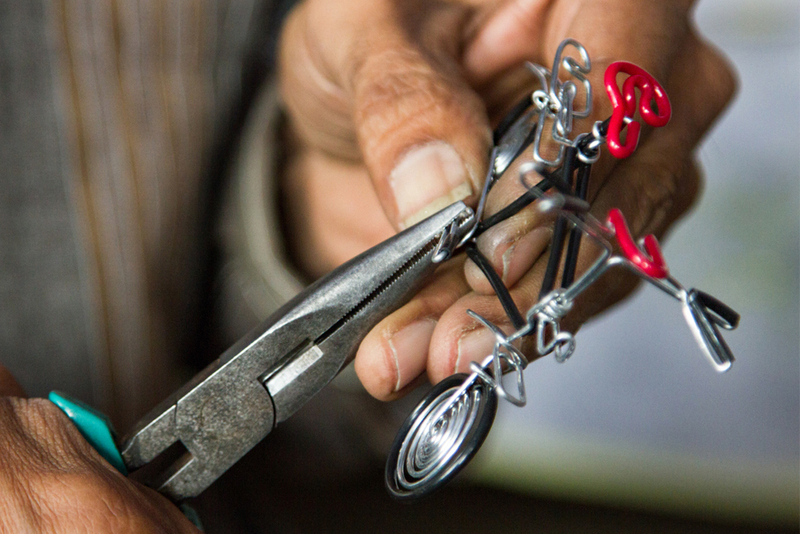 In the key chains names of a person is being crafted with wire. 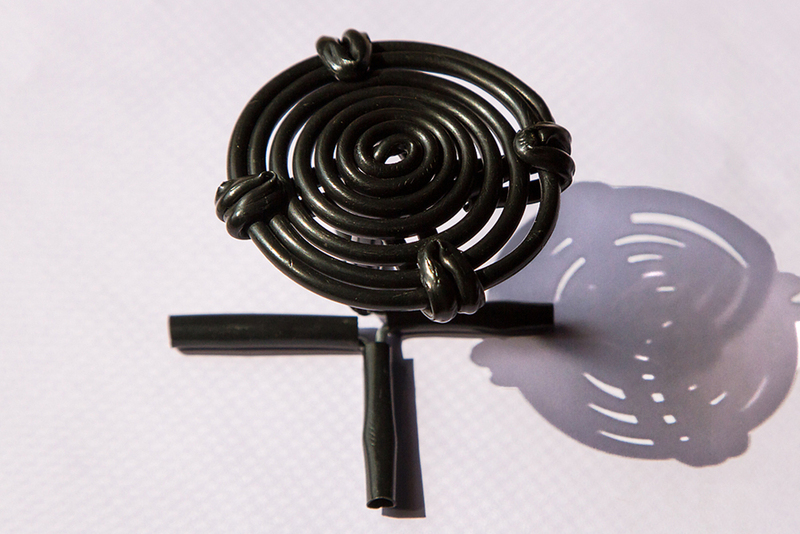 Single wire craft items beautifully crafted in many shapes and sizes. 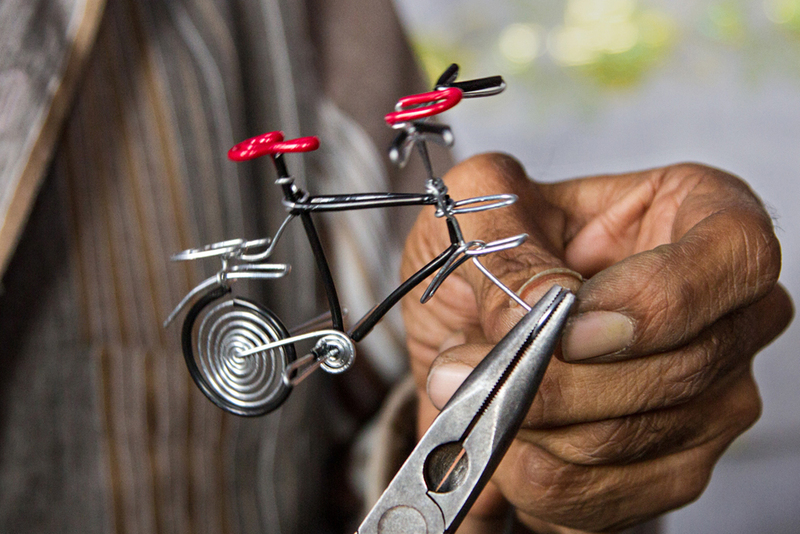 Many items are crafted as per customers order. 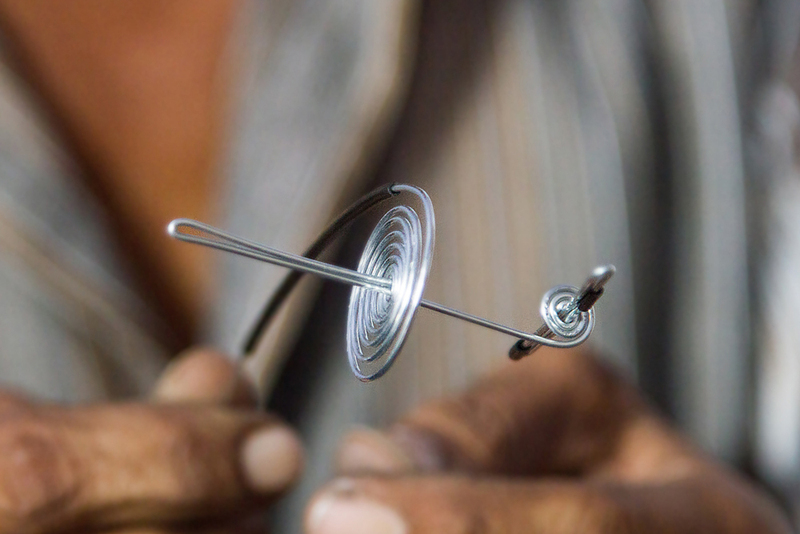 Rathod Girdharbhai Hamirbhai a skillful artist of the Single wire craft is a resident of Ahmedabad, Gujarat. 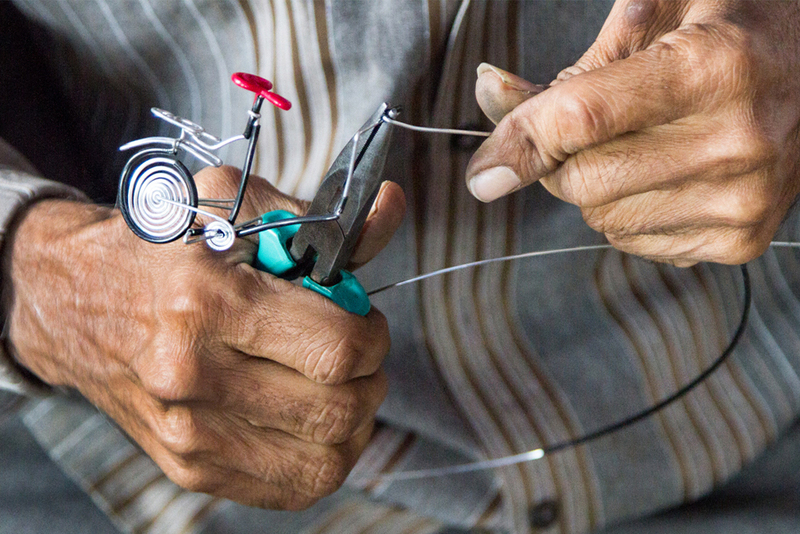 Previously he used to earn his living by making jute dolls where he used wires to support them and sell them on the footpath.